GREY PHALAROPE. The plate has a green trim. 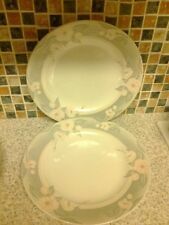 A Churchill 'Grey Blossom' Plate. Stamped on the base: Churchill, Grey Blossom, Porcelain, Dishwasher & Microwave Safe. The Plate is is in very good bright condition. special size boxes, the real killer is parcel tape! Barratts 'Swan Lake' 21 piece. THE BASE IS IMPRESSED "ENGLISH IRONSTONE ENGLAND". AN ATTRACTIVE RETRO STYLE TABLEWARE ITEM. DO NOT DUPLICATE OR COPY! MARKS CONSISTENT WITH AGE AND USE. 1 Brama coffee/Espresso cup and saucer. Grey 22 kt gold. Saucer approx 12.5 cms across. 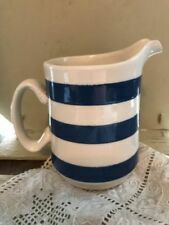 Churchill Grey Mottle Effect Milk Cream Jug. Condition is Used. 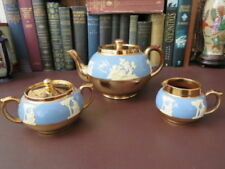 Have a look at my other listings for similar items. Postage and packing will be combined for multiple purchases. Stamped 'Made in England' on the base. Glazed stoneware pottery. Set of soup bowls, each with a handle on one side. The colour of the upper section is slightly different on each bowl, grading from predominantly grey to predominantly brown. 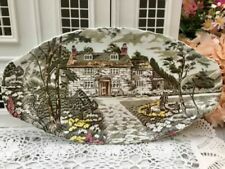 Antique Serving Plate-The Old Oak Pattern TJ & J Mayer Longport 1840’s? The Old Oak Pattern by TJ & J Mayer Longport. Antique Serving Plate with handles. A lovely Barratt's Delphatic White serving bowl. Light crazing but bowl crisp and clean. Retro pattern. The vase has a pretty pink flower on the front and the back, with a grey stripe around the middle. 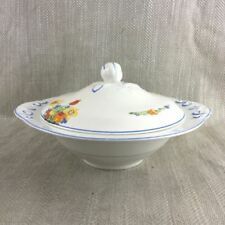 Fabulous and very striking Myott 1950's tureen. Base depth 2". Black base with contrasting cream lid decorated with pink & grey florals and wavy lines. Taylor & Kent. Taylor & Kent England. Backstamp: Kent Bone China. The plate features a polka dot pattern in grey and white with gold gilding. Tea & Coffee Pots. See pics for more detail. Our treasure trove is constantly growing, so check back often! Retro 1970's Kiln Craft 'Bacchus' Stoneware Breakfast Set; Tan/Circles. Dispatched with Royal Mail 2nd Class. The saucer features a polka dot pattern in grey and white with gold gilding. Taylor & Kent England. Backstamp: Kent Bone China. A couple of the polka dots have a teeny spot of wear which is minor. See pics for more detail. 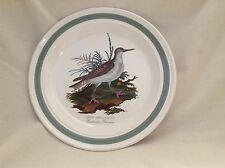 Each plate features a hand painted band around the rim, ensuring every plate has its own subtly unique features. Covered by Churchill's 5 year edge chip warranty. Product features. Material: Ceramic. Plus: Dishwasher and microwave safe. Colour: Grey. Material: Ceramic.